The CFL says American businessman Robert Wetenhall still owns the Montreal Alouettes but if the franchise goes up for sale, a group headed by former player Eric Lapointe won't be in the running. Lapointe said Friday his group of potential investors has decided against pursuing ownership of the troubled CFL franchise. He added that decision was made Thursday. Lapointe, a former Alouettes running back who's now working in wealth management, offered no reason for the group's decision. But it would appear to leave just one potential ownership group in the running, one reportedly headed up by Montreal businessman Clifford Starke. For now, though, a CFL spokesman said Wetenhall continues to own the Als. But the real possibility exists that the league could be tasked with helping find a new owner. For weeks, it appeared Lapointe would be a central figure in that pursuit. The two-time Hec Crighton Trophy winner as the top player in Canadian university football is currently a managing director with Stonegate Private Counsel in Montreal. His offices assist high net-worth entrepreneurs with sustaining, growing and transitioning their wealth. Lapointe, a 44-year-old Montreal native who was inducted into the Canadian Football Hall of Fame in 2012, had stated often he could quickly pull together a well-funded local ownership group if contacted. There were reports last month the Alouettes were close to being sold, but club president Patrick Boivin denied the franchise was up for sale. Lapointe, who played collegiately at Mount Allison, spent eight seasons as a running back in the CFL with Edmonton, Hamilton, Toronto and Montreal. 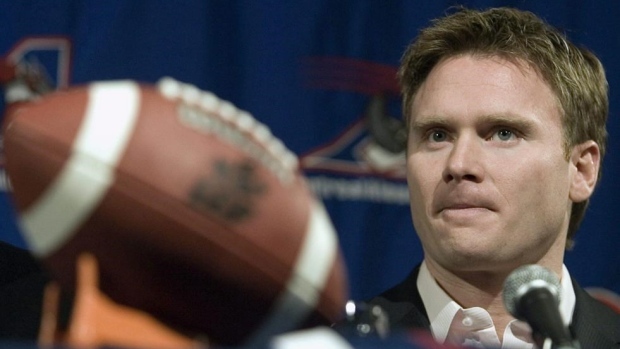 He played six of those campaigns with the Alouettes through the 2006 campaign. But Montreal hasn't been to the Grey Cup since winning it in 2010. The club has posted a record of .500 or better in just three seasons since and hasn't been to the CFL playoffs since 2014, amassing a dismal 21-51 record over that span.